On June 18/19, Porsche will be competing at the 24 Hours of Le Mans with the 919 Hybrid for the third time. The young team is defending its title in Le Mans and in the FIA World Endurance Championship (WEC), for which this classic in France is the most important race. With its 17 overall victories, Porsche is also record holder on the Circuit de la Sarthe and leads in both the manufacturers’ and drivers’ classifications of the 2016 World Championship. The pressure before the start is tremendous. 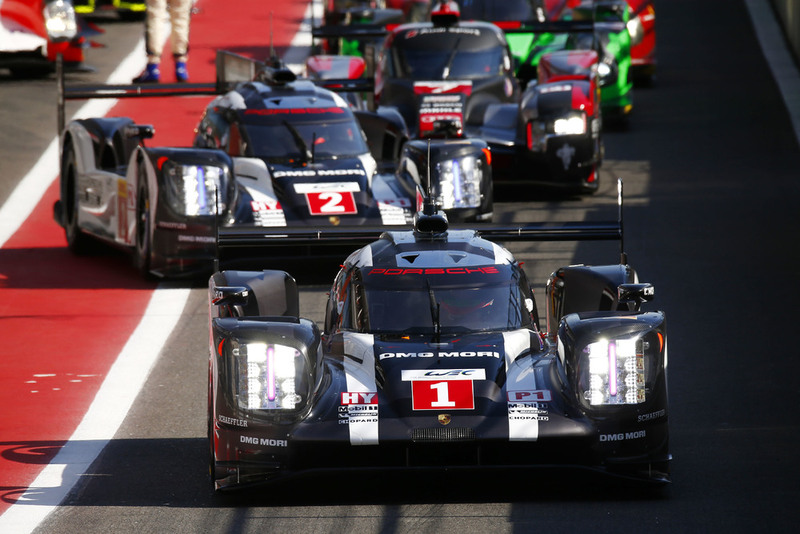 To master it, the racing strategists in the Porsche team need maximum control – not only of the two highly complex prototypes of Timo Bernhard (DE), Brendon Hartley (NZ) and Mark Webber (AU) with start number 1 and the sister car of Romain Dumas (FR), Neel Jani (CH) and Marc Lieb (DE) with number 2. Many other factors have to be calculated into the process as well. Team Principal Andreas Seidl is a Bavarian by birth and a strategist by calling. Together with the engineering staff – Chief Race Engineer Stephen Mitas (AU), Strategy Engineer Pascal Zurlinden (FR) and Vehicle Race Engineers Kyle Wilson-Clarke (GB, car number 1) and Jeromy Moore (AU, car number 2) – Seidl plans the optimum approach ahead of the race like a chess player in countless ‘what-if’ scenarios. After the race begins, however, the game is a question of reactions. It depends on the correct decision for each situation. The first limiting parameter in planning the race is the distance between the refuelling stops. Since the maximum consumption values for fuel and electrical energy per lap are specified in the WEC, the latest point for refuelling is known. The strategists also know this information for their rivals’ vehicles. 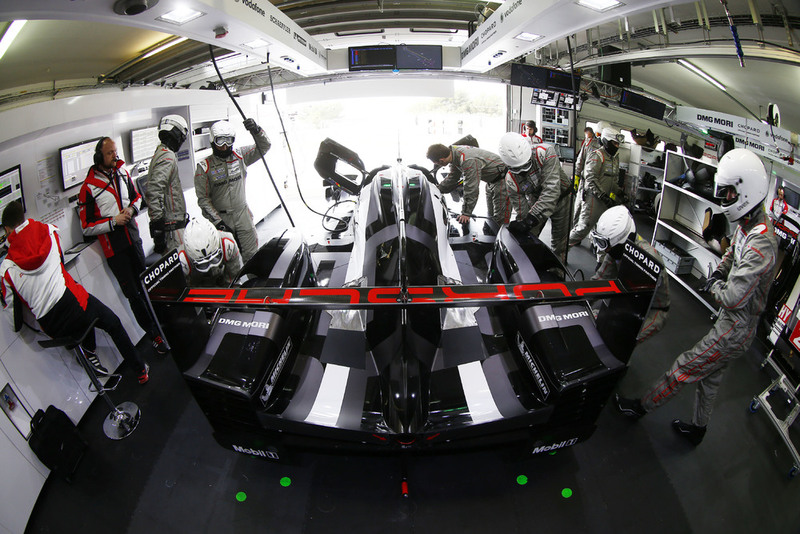 On the 13.629 kilometre lap in Le Mans, the Porsche 919 Hybrid covers a maximum of 14 laps with a full tank of 62.5 litres. During the 24-hour race it will not be possible to divide the distance covered at the end exactly by these 14 laps. However, the aim is for the car to cross the finishing line with practically the last drop of fuel. This is because the less fuel there is in the tank, the lighter and faster the car will be. Consequently, at some point in time there will be a refuelling stop where the tank is not filled completely. The most suitable point for this to happen needs to be well thought-out. If a race proceeds without any incidents, this short refuelling stop is saved to the end. However, any changes in the weather or neutralisation phases may result in time savings if the stop is brought forward and combined, for example, with a change to rain tyres. The decision is made within seconds. A simulation programme, that is constantly fed with information by strategy engineer Zurlinden, helps in the process. The data at his side is from his own cars, observations of the competitors and the meteorologists. Speed on the circuit and length of pit stops are crucial in covering the greatest distance of all in 24 hours. In 2015, the team refuelled 30 times per car when securing victory in Le Mans. Including entry and exit, the fastest refuelling stop took 51.3 seconds and the shortest pit stop, including driver and tyre change, 1:13.9 minutes. The drivers always have to stay the course for as long as the tyres permit. A stop just to relieve a driver would be a loss in time. But how long can a driver hold out without becoming slower? However the race evolves, turns round or surprises, the simulation software helps in delivering an interpretation. At any time, the team is able to read how it will fare if the race continues as normal and also receives valuable tips by computer on dealing with any unscheduled events. For instance, does it make sense to bring forward a pit stop if the safety car is deployed? The programme also computes the strategic consequences of a possible repair stop. If a car has contact with a rival, the tyre pressures and aerodynamic data are checked instantly, the driver provides feedback by radio. Looking at the damage though is something that neither he nor the race engineers at the pit wall are able to do with the car flashing by at over 200 km/h. This takes place on monitors in what is called the “Battle Room”, where Zurlinden also sits. Sometimes a slow-motion repeat is needed to show whether the car needs a pit stop. The pit crew is always on standby for any stops that become necessary at short notice. And they are fast: in 2015, the overall time spent by the three Porsche 919 Hybrid cars competing in the 24 Hours of Le Mans, including entry and exit along the pit lane, amounted to 95 minutes and 36 seconds. As a comparison, the time of the second-best team with three cars added up to just over 130 minutes. Crew Chief Amiel Lindesay (NZ) puts this performance down to “a little practice”. That is an example of gross under-statement. Just the choreography for the stops is a science in itself. This is because, in contrast to Formula 1, an unlimited number of mechanics are not allowed to work on the car, and fewer makes things difficult. The regulations have been tightened up further for 2016. Details are listed on 11 pages. They include stipulations such as the requirement that only two people are allowed to refuel, that the car has to be standing on its wheels during this process, that wheels cannot be changed until after refuelling, that no more than four mechanics and one impact wrench may be used at the same time on the car during this operation and much more – including a list of penalties. Lindesay works out when which step and which manoeuvre is to be performed and considers who should take on each individual role. Dry runs then follow in the workshop. More than 250 stops mount up there alone per season. Added to this are the practices during testing and on the race weekends themselves. A wheel with tyres weighs 19.9 kilograms, so the mechanics have to be strong, swift and stress-resistant. For them, too, the pressure is tremendous.